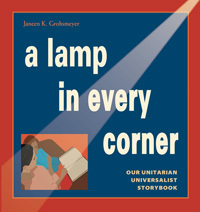 Collection of 21 short stories about UU history and traditions, famous UU men and women and the 7 Principles. Includes historical background information plus helpful suggestions for the novice storyteller and a list of storytelling resources. Author is RE teacher at the Unitarian Universalist Fellowship of Southern Maryland. Ages 6 and up.